Farm Software Success through integration, Beware of being shortsighted with your budget, Cost accounting from the cab, Data recovery? I T ' S S H O W T I M E ! Cost Accounting from the Cab. Beware Of Being Shortsighted With Your Budget. 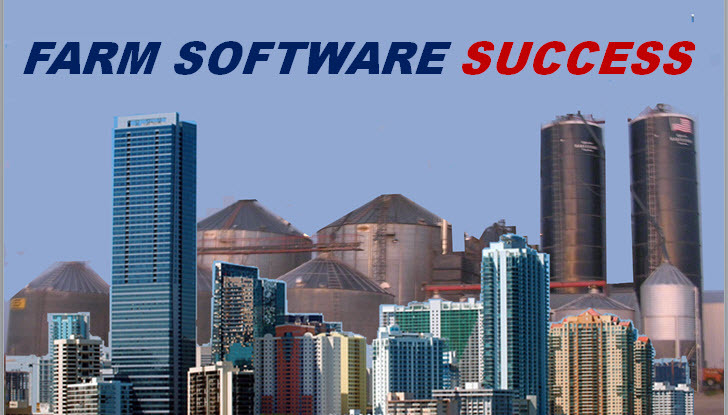 This month we continue a new series on the most important factors that contribute to successful farm software implemenation and results. Reason #2: Save time/create knowledge through integration. 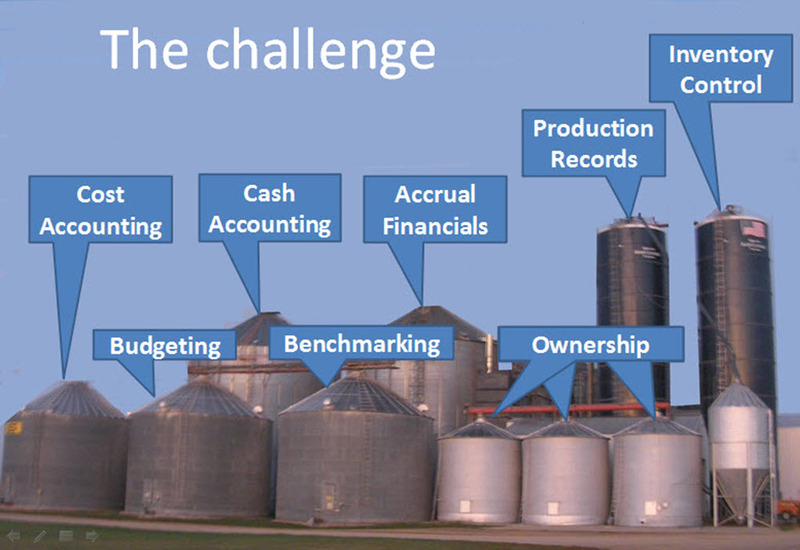 If you’re like many growing, progressive producers, your scale and complexity are working against you because this vital information is housed in separate “silos,” consisting of unconnected accounting and production software supplemented by countless spreadsheets. 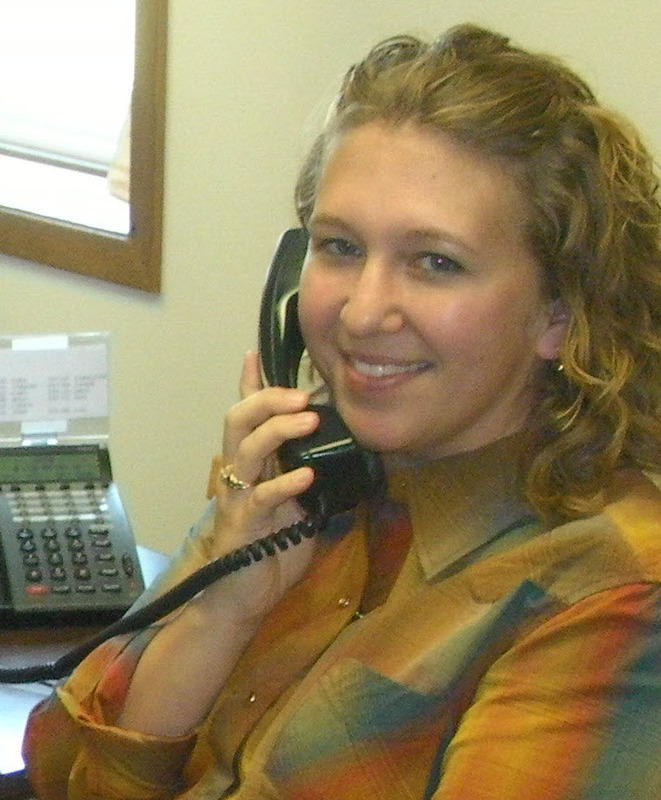 Cost accounting to determine your farm’s internal costs and margins. 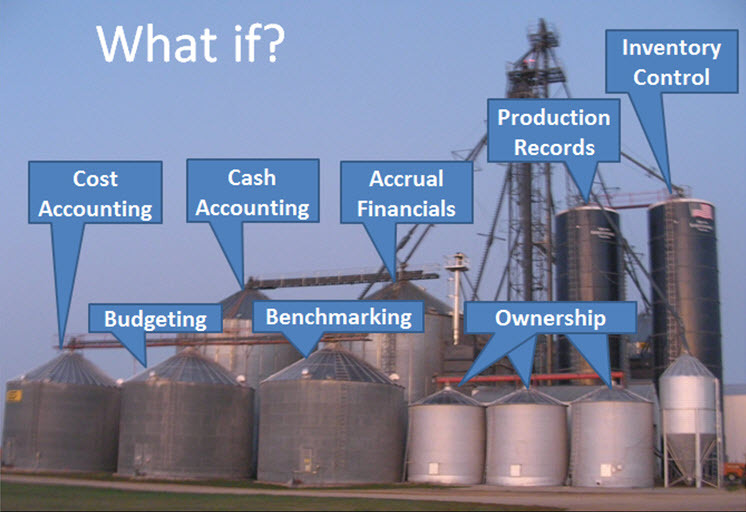 What if those information silos could all be connected and functioning as a cohesive central information system? Consider what these “dis-integrated” management systems are already costing you. First, there’s the precious time you or your employees are wasting “hand-scooping” data from one application to another and then tracking down the inevitable errors. But there are also the lost opportunities because information is not current, complete or accessible when real-time decisions need to be made. When you do make critical marketing or expansion decisions they may be grounded in “plugged” industry-wide assumptions rather your own internal competitive structure. And in the long-run you’ll restrict your ability to safely control an expanding enterprise that will only get more complex and sophisticated. The solution? Information integration—through Enterprise Resource Planning (ERP), a proven system widely used by successful manufacturing, retail and supply chain businesses and already adopted by progressive agricultural producers. For more information watch our integration video, contact sales@fbssystems.com or call 800.437.7638. Are you headed to Anaheim for the Commodity Classic this week? 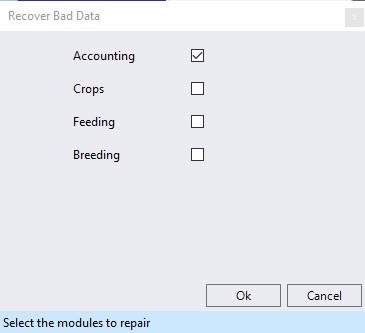 Then don't miss the newest technology that updates FBS Management Accounting with as-applied field data through Conservis Farm Management System. 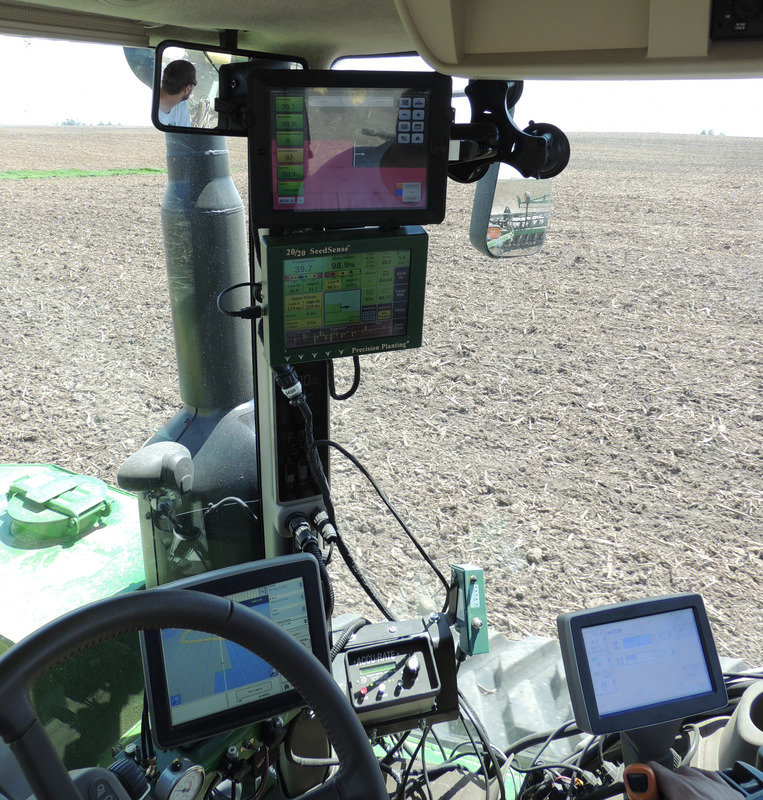 New this year: Integration with the John Deere Operations Center and Climate Fieldview(TM) that will get you real-time insight direct from the field--no manual entry. No USBs needed. Click here for more details or call 800.437.7638. Fine-tuning your budget is more important than ever. An accurate budget will help you discover a margin target instead of just a price target. 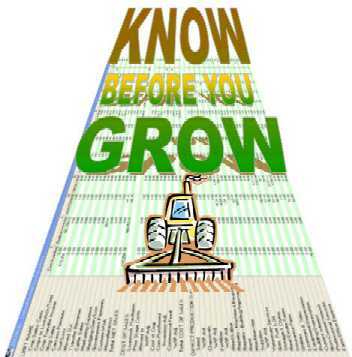 Separate out each line-item expense into its own category including land, seed, fertilizer and equipment. With that process in place, scenario planning becomes easier. Next month we'll link to Chris's February article: Budget Beware: Manage Overhead Costs. Q. What does Recover Bad Data option do? A. Database files can grow quickly as you use them, sometimes impeding performance. They can also occasionally become corrupted or damaged. 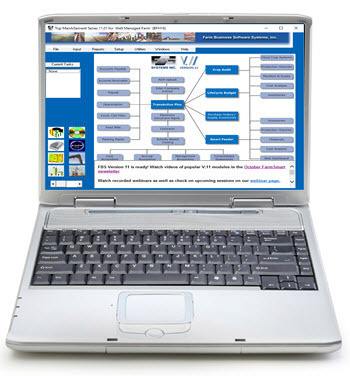 FBS uses the Microsoft Jet 4.0 database engine which is compatible with Microsoft Access. FBS has a built-in function named Recover Bad Data that performs the same functions as Access's Compact and Repair command. Use this option 1) when you receive a database error message in FBS or 2) are experiencing performance issues in reports. 1. Log into the FBS calendar year you want to fix. 2. Make a backup of the year's data under Utilities>Save Data. 3. Select Utilities>Recover Bad Data. 4. Check the box of the module you wish to repair. The process should only take a few seconds. Click here for more information on the Microsoft Compact and Repair command.